Partly cloudy skies this evening will give way to cloudy skies and rain overnight. Low 48F. Winds NNW at 10 to 20 mph. Chance of rain 90%.. Partly cloudy skies this evening will give way to cloudy skies and rain overnight. Low 48F. Winds NNW at 10 to 20 mph. Chance of rain 90%. Army Sgt. 1st Class John Masson laughs with his wife, Dustina, and his daughter Morgan, as friends, family and supporters gather around them upon their arrival at the Porter County Municipal Airport in Valparaiso earlier this year. Masson returned to the region to attend a benefit being hosted in his honor at the American Legion in Lake Station. He is recovering from injuries he suffered while serving in Afghanistan. John Masson, right, a soldier and Lake Station native who was injured Oct. 16 while serving in Afghanistan, recovered in a Washington, D.C., hospital. He and his wife, Dustina, left, are graduates of Lake Station's Edison High School and have three children. Masson returned to the region Friday night to attend a benefit being hosted in his honor at the Lake Station American Legion. Army Sgt. 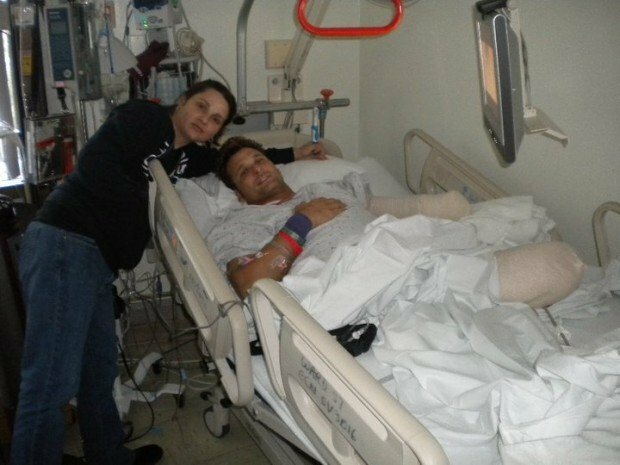 1st Class John Masson, 39, stepped on an improvised explosive device Oct. 16 while serving in Afghanistan and suffered serious injuries that required multiple amputations. He returned to Northwest Indiana on Friday for the first time since suffering those injuries. His family and friends are hosting a benefit in his honor from 1 to 11 p.m. Saturday at the American Legion in Lake Station. Army Sgt. 1st Class John Masson, 39, stepped on an improvised explosive device Oct. 16 while serving in Afghanistan and suffered serious injuries to his limbs. He recovered at Walter Reed Army Medical Center in Washington, D.C. Family and friends have rallied around him, hosting fundraisers to raise money for his needs. Army Sgt. 1st Class John Masson, right, stands in front of a memorial etched with the words, "Freedom is not free." Masson was injured Oct. 16 when an improvised explosive device detonated while he was serving in Afghanistan. Supporters hold flags and offer thanks as Army Sgt. 1st Class John Masson, a Lake Station native, disembarks from a jet with his wife, Dustina, at the Porter County Municipal Airport in Valparaiso earlier this year. Supporters holding large American flags lined either side of the Porter County Municipal Airport entrance Friday to celebrate Sgt. 1st Class John Masson's arrival. The Lake Station native's wife wheeled him slowly through the cheering crowd. Masson lost both legs and his left arm Oct. 16 after stepping on an improvised explosive device in Afghanistan. The 39-year-old served four years in the U.S. Army and 11 years in the National Guard, where he is a special operations forces medic with a Ranger tab. He and his wife, Dustina, live in North Carolina, where he is stationed. The couple have three children ages 15, 8 and 6. "I'd go over and do it again for all these people," Masson said, gesturing toward the crowd of well-wishers. "This is what we fight for, such beautiful love." Masson and his family flew in Friday to attend a benefit being held in his honor from 1 to 11 p.m. Saturday at American Legion Post 100, 1899 Central Ave., Lake Station. The benefit will feature live entertainment, a silent auction, raffle and live auction, organizers said. The live auction is scheduled for 6 to 7 p.m. The cost of admission is a $10 donation. More than 70 people -- many of whom Masson had never met -- braved the brutal cold to welcome him home. Some wiped away tears as Masson hugged family members from his wheelchair. Members of the Indiana Patriot Guard, American Legion and American Veterans Motorcycle Riders Association also paid tribute to Masson. Staff Sgt. Jason Reed, a member of the U.S. Army National Guard, said he doesn't know Masson but was moved by his story. "I thought I needed to show my respect and be here for his homecoming," the Schererville resident said. Larry "Harley" Hawkins, with the U.S. Army National Guard and American Veterans Motorcycle Riders Association, is also a stranger to Masson but offered his support. "We wanted to let him know we got his back when he comes home," Hawkins said. Several children held handwritten signs welcoming Masson home and offering thanks. One teenager held a sign saying, "Freedom isn't free. Thank you, John." Masson said he was overwhelmed by the support. He has chronicled his fight to survive his injuries on his website, http://www.johnmasson.com. Masson said Friday that he doesn't want to jeopardize his team's mission by offering too much information about what happened. But he said other soldiers had walked over the IED and that dogs hadn't noticed it. He said he remembers blackness after the blast. Masson credits a medic with saving his life by stopping the bleeding from his legs and left arm. Despite several setbacks during his recovery, Masson remains determined to walk again. "I will get up and walk," he said. "I hope there is a videotape when I do so I can show the enemy, look, you didn't do anything to this guy." Masson said he also plans to play softball again. But, for now, the Lake Station native continues to heal and said he is happy to be alive. Masson's brother-in-law, Ian Paris, said Masson is upbeat and the kind of person who never fails. He said Masson's injuries haven't changed his personality. "I don't think this will let him fail," Paris said. "He's like a diesel engine, always chugging forward." Donations to Sgt. 1st Class John Masson and his family can be made to the John Masson Benefit fund at First Midwest Bank, 7900 Broadway, Merrillville, IN 46410 or through Paypal. For information on donations by credit card, visit http://www.johnmasson.com. Nominate someone you believe is a Hometown Hero and read other stories in the series by visiting http://www.nwi.com/heroes. The benefit for Army Sgt. 1st Class John Masson will be from 1 to 11 p.m. Saturday at American Legion Post 100, 1899 Central Ave., Lake Station. Tickets are $10. A list of items that will be part of the live auction can be found at http://www.johnmasson.com.